Mackiepenny: Our father, who art in heaven, hallowed be thy name. Thy kingdom come, Thy will be done, on Earth as it is in Heaven. Give us this day our daily bread, and forgive us our trespasses, as we forgive those who trespass against us. And lead us not into temptation, but deliver us from evil. For Thine is the kingdom, and the power, the glory, now and forever. Amen. Q: Is Paul Smecker gay? Q: Why did Il Duce try to kill Connor and Murphy if he's their father? ...albeit a little too proud of itself. I waited a long time before actually watching this film, then an ex-girlfriend loaned it to me telling me I wouldn't be disappointed. And I wasn't. Boondock Saints looks and feels like a fan film, and it is well done. The actors, I felt, were carefully chosen, did a wonderful job, and composed themselves well. 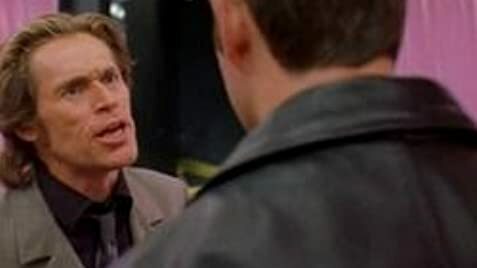 The only real annoyances were Willem Dafoe's character being a know-it-all, and David Della Rocco who screams his head off throughout the whole movie. Its rare that a movie of this genre has a gratifying ending, and when the credits started rolling, I was a little sad that there wasn't more. 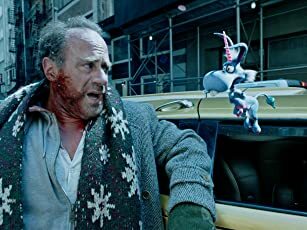 This movie kept me entertained thoroughly, and I was happy that I finally watched it. For those who haven't seen it, sit back and enjoy the violent ride, for it's a fun one. 104 of 196 people found this review helpful. Was this review helpful to you?